Dr. Lawrence Balter’s career has been committed to the professional training of psychologists, parent education, clinical practice with adults and children, and the translation of psychological concepts into understandable ideas for the public in the print, TV, and broadcast media and through his many workshops and lectures. As a full professor at New York University, Dr. Balter held numerous leadership positions including directing the school psychology doctoral training programs. He created and directed the NYU Warm Line, the first University-based telephone support service for parents in the country. He has taught a full spectrum of courses in the area of psychology, supervised clinical training, and has directed PhD dissertations. In recognition of his high quality academic contributions, Dr. Balter received a Professor of the Year award from the Steinhardt School. At NYU, he developed and directed several international programs. These included summer study abroad programs at the Piaget Archives at the University of Geneva in Switzerland and at NYU in Prague. Dr. Balter also introduced an intensive intersession program in San Juan, Puerto Rico that allows students to study for credit during the university’s winter recess. Besides holding the rank of Professor Emeritus, he has extensive experience as a psychologist in both public and private K-12 schools as well as preschools. His services include parent education groups, staff development workshops, counseling, referrals, and community outreach. 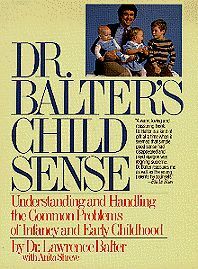 Dr. Balter maintains an active clinical practice with children, adolescents, and adults. He earned his PhD as well as his postdoctoral certificate in psychoanalysis and psychotherapy at New York University. He is affiliated with several mental health institutions including the psychoanalytic society at NYU’s Postdoctoral Program in Psychoanalysis, NPAP (National Psychological Association for Psychoanalysis), and the William Alanson White Institute. 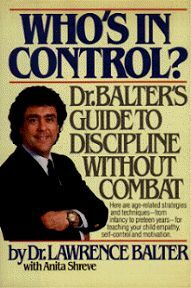 A major strand in his multifaceted career is Dr. Balter’s presentation of psychology in all aspects of the media: print, broadcast, and electronic. He is an experienced public speaker with an extensive background in personal appearances at educational institutions, community organizations, and corporate workplace sites. 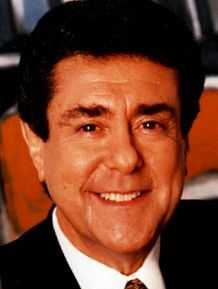 He served as a member of the New York State Citizens Task Force on Child Abuse and Neglect appointed by the Governor, (Matilda Cuomo, Chair) where he helped develop public information programs to educate families about child development and psychological health.